Emergency management as an institution has grown in size and scope in recent decades, but has this emergent profession brought better public decisions about managing hazards and risks? The evidence is mixed because though emergency managers have acted wisely and heroically, they are subject to institutional constraints as well as the same decision biases and barriers that affect other experts and professionals. 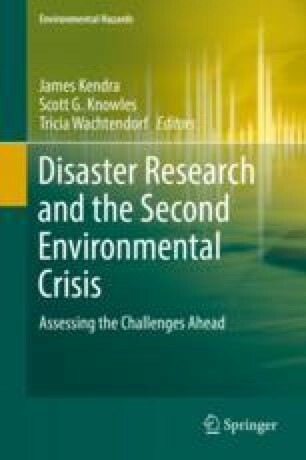 We propose that emergency management can be improved and hazard vulnerability lessened more readily through better decision processes than through the traditional approach of incremental improvements in the quality of information. The current fascination with “big data” focuses on more and better information, but emergency and hazards managers should ensure that they use the data they already have access to well. Baron, G. (2013). Public warnings—Why crying wolf is downright bad. Emergency Management blog. Available at: http://www.emergencymgmt.com/emergency-blogs/crisis-comm/Public-warnings%2D%2Dwhy-crying-wolf-041113.html. Last accessed 24 July 2016.